Verizon Wireless on Thursday won unanimous Federal Communications Commission approval to move forward with its $3.9 billion purchase of 4G LTE spectrum from the country’s largest cable providers. The partnership also enables the cable companies to market Verizon services and in some cases sell their own services inside Verizon stores. “By allowing Verizon and the cable companies to sell each other’s services, the D.O.J. and the F.C.C. are acknowledging what has been clear for some time — that broadband competition policy in the United States has failed." I have to agree with Gigi Sohn. The US congress tried to foster competition with the 1996 Telecommunication Act. The idea was that the incumbent telephone companies would allow competitors to use their facilities at wholesale rates to compete as retail level service providers. The telephone companies drug their feet and fought at the state and local level to keep that from happening, and they succeeded. Some have argued that wireless connectivity would eventually bring competition to the Internet service industry, but it seems we have instead a gentleman's agreement in which the cable companies will provide land-line connectivity and the cell phone companies will provide wireless connectivity. Furthermore, sometimes they can sell each other's service. My experience illustrates the gentleman's agreement. I was a Verizon DSL customer for years. I was about to leave them when I started seeing ads and billboards saying I would soon be able to get their fiber service, FIOS. 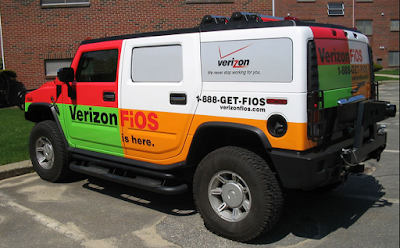 After a couple years wait, they announced they would not be bringing FIOS to my neighborhood after all. Then they cut my DSL speed from 5 to 1.5 mbps! I switched to cable -- my one alternative. My current slim hope for getting connectivity that close to what is available in Riga Latvia is Google's pilot in Kansas City. In a public letter to Comcast and Time Warner Cable executives, the FCC announced that it is hitting the pause button on its review of the proposed $45 billion merger. Citing inadequate responses by both cable companies to earlier FCC requests for additional information, the agency is stopping the clock on its 180 day review period until late October. A utility company familiar with Verizon's business plans says Verizon has told it the company plans to exit the fixed-line broadband business entirely within the next ten years. Stop The Cap directs our attention to a filing at the FCC made by Florida Power & Light, urging the FCC to reject Verizon's decision to offload its Florida, Texas and California DSL, FiOS and POTS customers to Frontier Communications. I guess they are counting on 5G cellular, but I hope public WiFi hotspots give them some stiff competition. 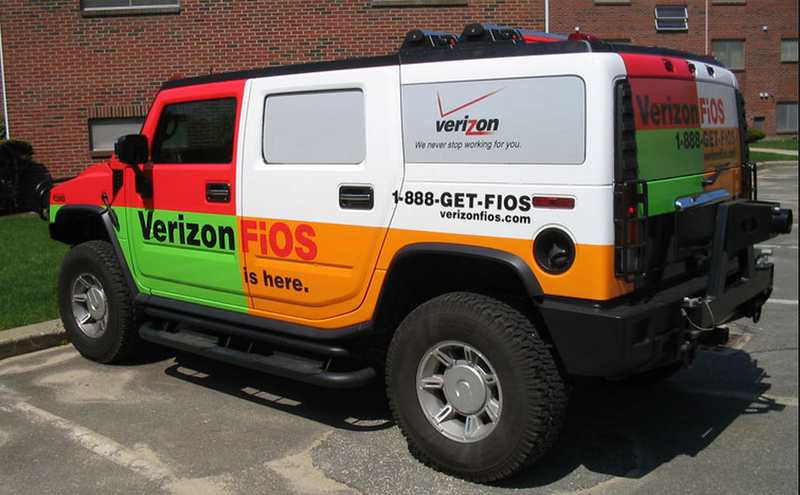 During a recent earnings call, Verizon CFO Fran Shammo said that FiOS will be available to about 70% of their east coast, fixed-line customers once the company finishes the sale of their Texas, Florida and California fixed-line networks to Frontier Communications. If they stick to their plan of leaving the wireline business, they will have 100% penetration the day before selling off the last customer. While no further sales are imminent, Shammo stated that all options remain on the table. "As I have always said you never say never," Shammo noted. "We're always open to new options and we always keep our eyes open for that but at this point we're very committed to the wireline business." 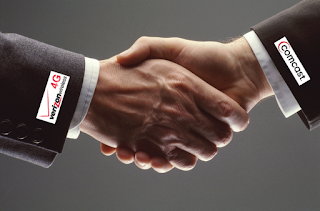 Verizon is living up to the aforementioned gentleman's agreement with Comcast. In my personal case, that means Time Warner Cable will remain my only viable Internet service provider until Google or Elon Musk or someone else comes to my rescue.